Organised by an Indonesian Protestant group for the period of 1-5 July, the gathering was shut down on its second day following a raid by Muslim fundamentalists. For a radical Muslim leader, Christians were not authorised to organise an event that violates the sacredness of the Islamic month of fasting and prayer. 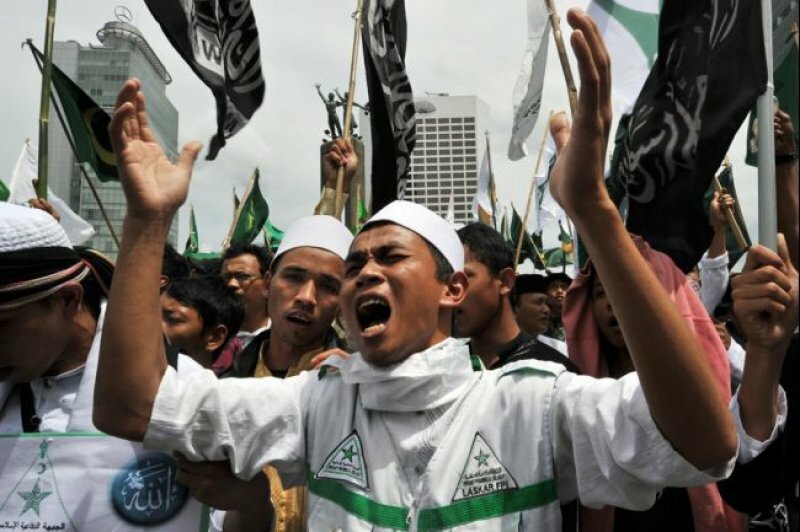 Jakarta (AsiaNews) – A group of Indonesian Islamic extremists attacked and disrupted a scout camp organised by a Protestant group in Yogyakarta, central Java. The gathering had brought together thousands of young people. According to the extremists, the Protestant group was not authorised to organise any public activity, especially, they claimed, since Ramadan had begun on 18 June, and public activities that violate the sacred nature of the holy month are not allowed. Titled ‘Pathfinder Club Camporee’, the meeting was set to take place from 1 to 5 July, at a location in Sleman Regency, just north of Yogyakarta. However yesterday, on the second day of the event, local Muslim extremists stormed the site bringing everything to a halt. As a result of the Islamist raid, thousands of participants from around the country were forced to leave the area. Thousands of Protestant kids from various organisations and churches in the country had registered for the event. Local police claimed that organisers lacked the necessary permit to hold such an event. Commenting on the expulsion of Christians, Muhammad Fuad, head of the local branch of the Islamic Community Forum (Forum Umat Islam, or FUI) said he was happy that the gathering was shut down. "It is good because everyone should understand how to behave towards the Muslim community," the Islamic leader said. We are in the holy month of Ramadan, he noted, and people "must ask permission" before promoting "such great events." Indonesia, the world's most populous Muslim nation, has often been the scene of attacks or acts of intolerance towards minorities, whether Christians, Ahmadi Muslims or people of other faiths. In Aceh, Islamic law (Sharia) is enforced, the only Indonesian province to do so. This is the result of a peace agreement between the central government and the Free Aceh Movement (GAM). However, more radical and extreme versions of Islam are growing in many other parts of the country, like Bekasi and Bogor, in West Java. In addition, legal loopholes have been used to prevent Christians from building their places of worship, like the case involving the Yasmin Church in West Java. Indonesia’s constitution recognises religious freedom, but Christian communities, Catholics included (3 per cent of the population) have been the victims of religious violence and persecution.